The boat sank close to Katha village near Bhagpat in the Yamuna river, 20 km from Bhagpat district headquarters. 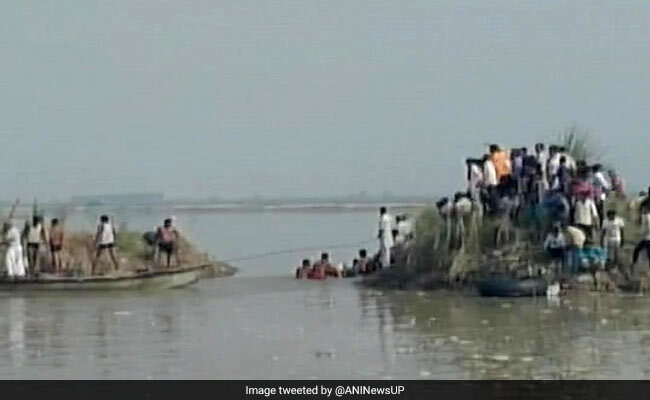 Baghpat, UP: At least 22 people drowned and many others were missing after an overloaded boat capsized in the Yamuna River here today. The boat was carrying 60 people, District Magistrate Bhawani Singh said. The boat sank close to Katha village, 20 km from the district headquarters. Police and PAC personnel have fished out 22 bodies so far while 10 others have been rescued, he said. A search was on to trace others. "The boat was ferrying passengers more than its capacity. 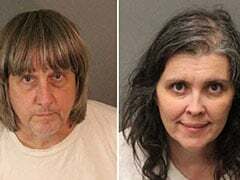 Most of the passengers of the ill-fated boat were women. As soon as the boat reached mid-stream it capsized," the District Magistrate said. "The incident happened early morning. It was a privately hired boat and was carrying some 50-55 people," said Additional Magistrate of Baghpat district, Dharam Pal Singh. Angry that an overcrowded boat was allowed to ply, residents protested on the streets in Baghpat, accusing the administration of not providing help to the victims quickly enough. Protesters blocked a highway and set a few vehicles on fire, said witnesses. "They used dead bodies to block roads. Police are on the spot and a probe has been ordered," Mr Prashant Kumar, a senior police official told AFP. Uttar Pradesh Chief Minister Yogi Adityanath expressed grief over the incident. In a tweet, he issued instructions that the kin of the deceased be given Rs 2 lakh as relief from the Chief Minister's Relief Fund. The Chief Minister also directed the district magistrate to immediately provide succour to the affected people, Principal Secretary (Information) Awanish Awasthi said. UP CM Yogi Adityanath announces compensation of Rs 2 lakh each for next of kin of those dead in Baghpat boat capsize incident. He said a probe has been ordered into the incident. Boat accidents are common in India, mainly because of overcrowding, poor maintenance and lax safety on ferries. Nineteen people died in January when a boat carrying revellers from a kite festival capsized on the Ganges river in eastern India.